Al Lieberman is the Clinical Professor of Marketing Entrepreneurship and Innovation, a Professor of Management Practice and the Executive Director of the Entertainment, Media and Technology Program at New York University's Stern School of Business. In his current position, Professor Lieberman teaches several courses including The Marketing of Entertainment Industries, Globalization of the Entertainment Industry, The Business of Producing, Sports Marketing, and a course called The Craft & Commerce of Cinema: The Cannes Film Festival. Professor Lieberman has been with NYU Stern for more than 15 years. His primary research areas of interest include film festivals and entertainment globalization. Before joining NYU Stern, Professor Lieberman served as the executive vice president of Young and Rubicam Direct Response Division and managed the advertising accounts of Fortune 500 companies. He then joined Simon and Schuster as World-Wide Director of Marketing and became Executive Vice President of the company's Silhouette Books division. Professor Lieberman was also the founder and C.E.O. of Grey Entertainment, an advertising and marketing company whose client roster included Warner Brothers Studios, ABC Entertainment, News American Corp., Harper Collins Publishers and a variety of theater and arts companies. Professor Lieberman's first book, The Entertainment Marketing Revolution, was translated into several languages and voted the best business book by Fortune Magazine in Argentina. Its second edition was published in July 2013 under the title The Definitive Guide to Entertainment Marketing. 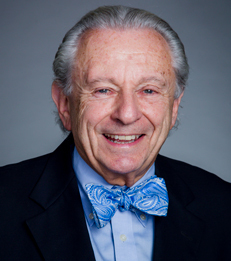 Professor Lieberman received his Bachelor of Science in labor relations from Cornell University and his master's degree in marketing from NYU Stern.